The United States Agency for International Development’s (USAID) Office of U.S. Foreign Disaster Assistance (USAID/OFDA) is providing $100,000 through the International Organization for Migration to offer relief supplies, water and sanitation assistance for earthquake-affected areas in the Highlands region. United States Ambassador to Papua New Guinea, Catherine Ebert-Gray expressed great sadness for victims and families of those who perished during the 7.5 magnitude earthquake,andrequested assistance from the U.S. government, resulting in the $100,000 aid package. The U.S. government is coordinating closely with the PNG National Disaster Center so that tarpaulins, cooking supplies, water containers and sanitary supplies are distributed to the most affected population. 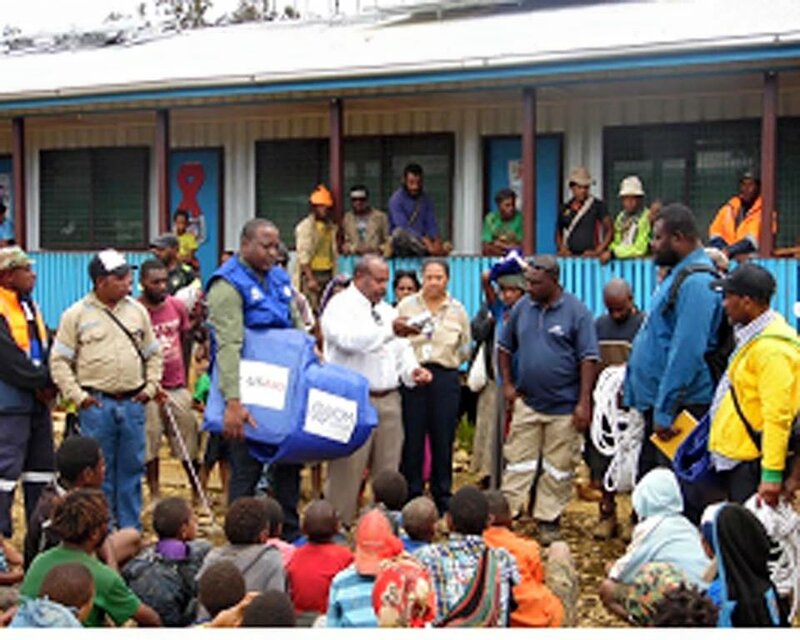 The U.S. government assistance comes in response to the widespread damage caused by the earthquake and related landslips, as well as the continuous aftershocks, which have been felt throughout Hela, Tari and other parts of the Southern Highlands. USAID is the lead U.S. Government agency on efforts to end extreme global poverty and enable resilient, democratic societies to realize their potential,also provides life-saving assistance in the wake of disaster.